She comes from money. He comes from nothing. But where true love is concerned, there’s always a middle ground . . .
Brianna Worthington has beauty, privilege, and family money—but she wants something more than a trust fund and a life of ease. She wants to see the real world and make a real difference. Her chance comes when she’s invited to see how her mother’s charity is helping in the aftermath of a tornado in South America. Chief Medical Officer Mitch McBride loves doing all he can for the poor people affected by the storm . . . but his difficult work has hardened him to the point that he’s starting to doubt he’ll ever be able to enjoy a life of his own. So when some sightseeing rich girl arrives in camp, he’s far from impressed . . . Almost immediately, the pair begins trading verbal barbs—but before long their antagonism turns into playful banter, and then outright attraction. But will they ever be able to get beyond their differences and take a real chance on each other? 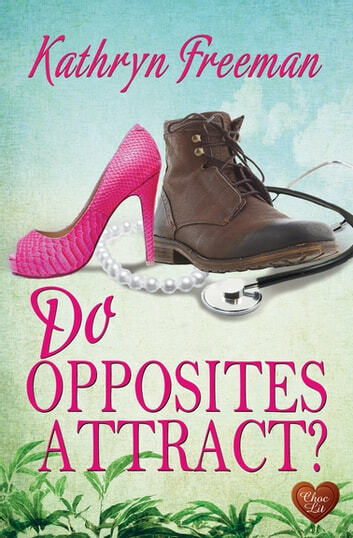 Books related to Do Opposites Attract?